Steemit is built for the long game. You should build your plan that way, too. 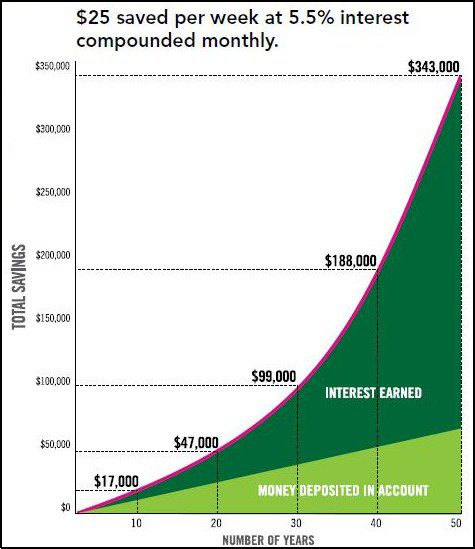 Compound interest is easier to understand than the Steemit financial system. But once you appreciate what makes compound interest great, it will help you realize the full power of Steemit Power Ups. Once you do, I hope you will agree with me that each of us, like Steemit, needs a long term growth plan of our own. Treat Steemit as a long term investment now. It can be your ATM machine later. I am not offering investment advice. Putting time and money into cryptocurrency always comes with risks, namely the potential loss of said time and money. But Steemit pays people in a stable currency and it has a mechanism to fund growth, so it comes with fewer risks and greater opportunity than anything else in the crypto space. That opportunity is most rewarding when you take a long term view, not a short term one. Sure, I fully understand that you probably need money, have bills to pay, or have things you want to buy. But if at all possible, WAIT a while to cash anything out from Steemit. If you wait to cash out for a few months, invest most of your blog and voting rewards into Power Ups, and continue to post and curate on the site during that time, then you may soon have a lot more money to spend on these things. Instead of withdrawing all your earnings at the July 4 payout (let’s say it’s $500), exercise some patience and you might be able to turn that “Power Up Principal” into an income of $500 every month or every week. 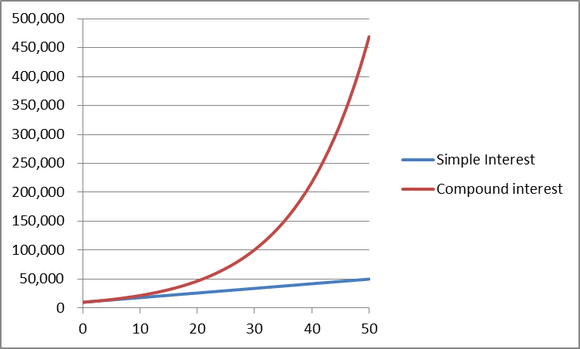 Compound interest is not a perfect analogy for Steemit, but it's a useful one, understanding that there are some differences. Simple interest pays you a percentage based on how much money you have deposited. The money you have deposited is called your principal. And so the interest is calculated only on your principal. The appreciation of your money is called simple growth. Compound interest gives you a percentage based on your principal AND on any interest you have accumulated from past periods. Over time, as you earn more interest, the pot of money grows. So does the amount of interest you are drawing, since it is being calculated on a bigger and bigger pot of money. This growth rate is exponential. 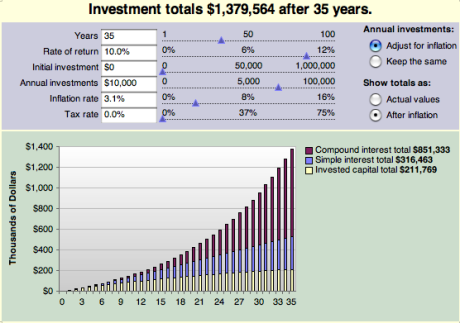 Here’s another chart which shows you a screenshot from a compound interest calculator. As you can see, the amounts can change based upon different inputs of information. You could begin with one investment and later add more money. You can fiddle with the period of time or the interest rate to make it more accurate. If you’re paying taxes, you can include that, too. I just want you to see that any of those can affect how much money you make over time. Some people see that chart and think, “$1.37 million looks pretty good.” Others see it and think “35 years is WAY too long!” Fortunately, with Steemit, the growth should happen a lot more quickly (for a number of reasons, which we will cover below). Here’s another chart (below). Even though this shows a growing bank account balance, we can imagine (with a few caveats) that it could more or less apply to growth of earnings on Steemit. The growth here looks sharper because it’s not based upon just one initial deposit. This shows what happens when you contribute a small amount (say, $25 in value) every week for a period of time. See how much more you can make? Again, we would want a much shorter time frame than this, which is quite likely, given Steemit’s additional features. But there’s one more thing I want you to consider from the above chart. See how small the principal was at first? Imagine that the initial principle is the value you put into your Steemit Power Ups on July 4. If you had taken half of your earnings on July 4 as a payout, then you would have started with half as much. How much longer would this growth have taken? Alternatively, if you started with $100 or $1000 instead of $25, how much faster could that growth have accelerated? Nine Times More with Power Ups? You’re Kidding! I am not kidding. 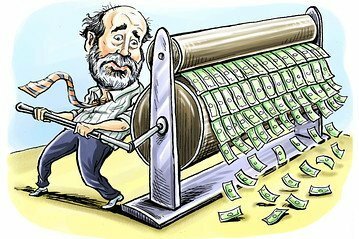 Steemit creates new money every day on a fixed schedule; that’s how this project pays for so many things. 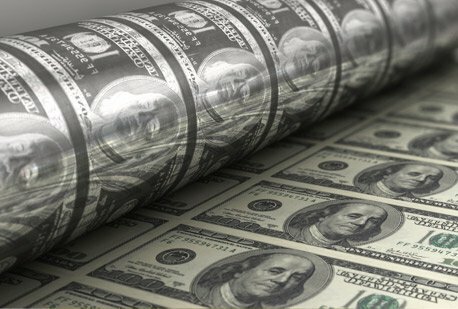 Unlike government central banks, Steemit is not borrowing that money from a mega-bank who had borrowed it from the government central bank in the first place through some shady program, creating more zeros we don’t really have plus more debt on computer screens. Instead, Steemit is very honest about how it is paying for growth and development. Inflation is built in and there is a growing community of users who are adding more value to Steemit and its currency in every moment of every day. Reddit has almost 40 million users. Don’t you think that Steemit, a site that pays people to post and vote while Reddit doesn’t, is going to keep growing rapidly as it adds users for at least a few years? Theoretically, it can always be growing, as developers and merchants add new features and related applications that encourage people to spend more time on the site and continue adding to it. Did I mention that Twitter has over 300,000 users? Facebook has one billion users around the world. People on all of these sites are complaining how corporate and how controlled the content has become. With Steemit, users provide the content, and the only content control comes through users voting on the posts. Facebook, Twitter, and Reddit need advertising to survive; Steemit doesn't. If we decide to allow ads, then that's a community decision, but the real advertising comes from the upvoting of posts. “I’d switch if they paid me.” Oh yeah, Steemit does that, too. Quite the incentive, isn’t it? We’ve established that Steemit creates more money every day. Do you know where most of each day’s money is going? Sure, Steemit’s posters and voters are being paid well. But out of every 10 dollars created, nine of them (9!) go to those who have powered up. 1 = How much of every 10 Steem created go to voting and curation rewards. That means that when you Power Up, you are putting yourself in line to gain big-time interest. Yes, it exists to offset the inflation rate, keeping your money protected. But as Steemit continues to grow, your Power Up value is essentially granting you a bigger and bigger “ownership stake” in Steemit. 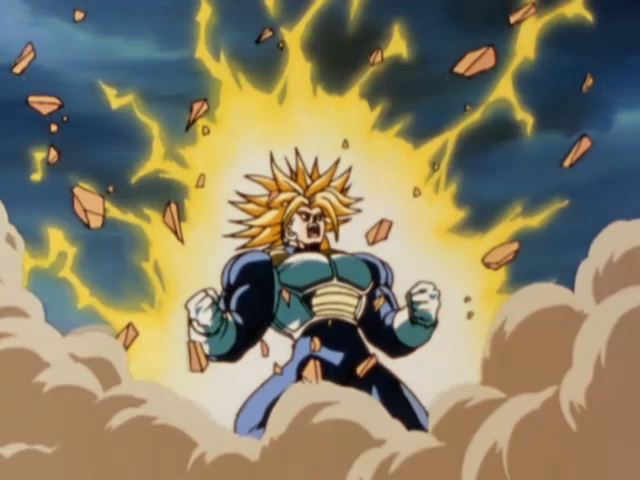 Powering Up is like trading in earnings for stock options on a stock you think will go upwards, through the roof and to the moon. 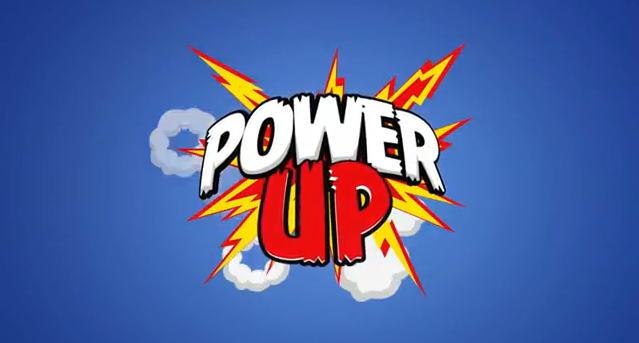 When you Power Up, your voting power grows, proportionately to how much Power Up vesting stake you have. Use it how you want. You can vote for newbies posts, the most popular posts of the day, or whatever you feel is the best content to reward. When you do vote, you will be using your growing voting power to print more and more money for anyone getting your votes. You could even vote for your own posts. Imagine the day when there is a Steemit # tag for whale posts. As a whale, you’ll be able to pay yourself a salary if you want just be upvoting your own post. And if getting a whale like you to upvote a post is the only way to ensure it rises higher (kind of like advertising), can you imagine how much future posters will want your votes? 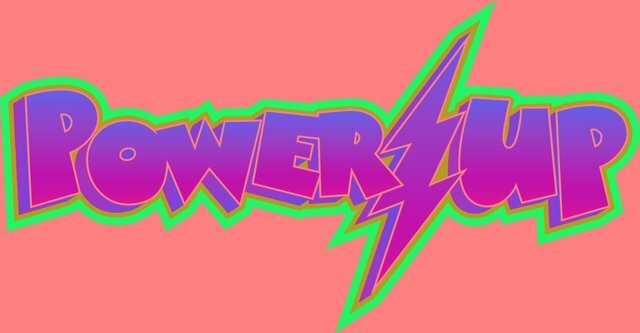 Do you see now why, if you believe in Steemit’s future, you MUST invest in Power Ups? Your long term plan with Steemit should take into account how much money you need to cash out from here in order to pay for your needs. If all goes well, this thing should take off very, very quickly, very very soon, when the first payout comes. So much currency will suddenly be created and needed that the market cap of STEEM should rise much higher. The Steemit plan seems to anticipate that around 90% of this payout will be returned back into Power Ups, because enough people understand what I just explained above. You don’t want to get left behind; you want a stake in this, too. You must Power Up. But also remember that when you Power Up, that vesting stake is locked up for two years, and you can only get it out in 104 equal payments made each week during this time. So be sure you really can spare and can invest this money before you do so. Also, this is not a “passive investment”, unless you want it to be one. At least it will grow much more rapidly and grow much bigger if you also invest your time and energy to posting good content and upvoting other peoples’ good content on Steemit. Be a time and energy investor, a worker, too, and you will continue to build your rewards much more quickly. Steemit is built for the long game. You need a long term plan, too. 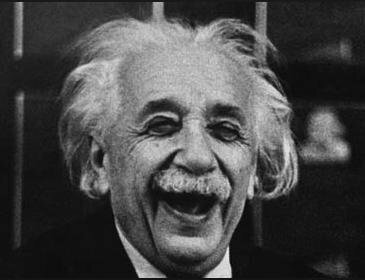 I’m pretty sure if Albert Einstein were here and he didn’t completely dismiss these cryptocurrencies or bootstrapped social media sites, he’d probably tell you the same thing: Power Up, as much as you can afford to do, if you want to share in Steemit’s exponential growth opportunity. While over 90% of Steem is held as power you are still being diluted to pay for content, just much less so than those who don't hold Steem as power. The better way to view Steem Power gives you the ability to maximize the value of the time you spend on Steem. If everyone contributed proportional to their stake then everyone would "break even" - neither gaining nor losing value. holding Steem Dollars while Steem is growing less than the interest rate. Starting July 4th a large amount of Steem will be made liquid as Steem Dollars(amounting to 2.5% of the market cap). If this gets converted to Steem and sold, it could push the price down and increase liquid Steem to 10% of market cap. At this point it is a good opportunity to buy. On the other hand, much of the SD created will be used to purchase any liquid Steem it can which will push up the price. Why do you say 5%? Shouldn't that be 1.67%? Right now 30 STEEM is created in total every block. And 1 STEEM is allocated for content rewards. Half of that will be converted to SD. So 0.5/30 = 0.0167. Also, longer term it seems like it should move towards approximately 2%. The numbers I posted were based upon the impact of compounding for a year and an old assumption that 50% of curation rewards would be Steem Dollars as well. Your numbers are correct. Let me do the math here. At the time this article was written Steem was diluted by 100% per year, but 90% of the dilution was paid to the SP holders, so the effective "interest rate" on SP was -10% per annum! Note the negative sign! In December the dilution rate was changed by community vote to 9.5% per year. That reduced the effective "interest rate" to only -0.95% per annum. Steem does not offer compound interest in any sense of the word. If you are not active on the platform, your holdings are diluted by about 1% per year. "holding Steem Dollars while Steem is growing less than the interest rate. " 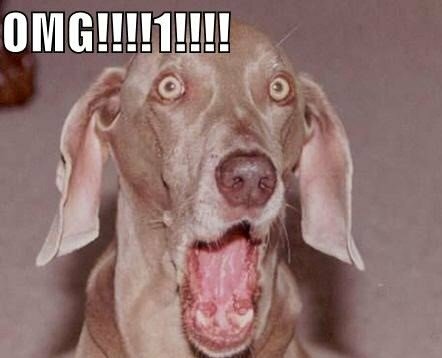 even if STEEM grows more than interest rate you still get the 10% "risk free"... ok maybe loose the opportunity to gain more but you are still profitable without the same risk! I've thought that about many of the great articles here on Steemit in the last few days. I wish I'd written a lot of yours! If I ever feel like cashing out I'll just read this post again to restore my sanity! Actually, you just did say it better. 'The gift that keeps on giving' is a great possible article title...and it's all yours. I pandered to the whales by quoting the whitepaper and rephrasing pro-Steemit sentiment that has been regurgitated 20 times ... and all I got was $5,290.89. If you found my BitShares forum comment above, then you probably also saw the other one I posted on May 19 regarding Steemit, "my opinion on this issue has changed." The more I understood about it, the more I've become an utter believer (obviously) in the way Steemit is structured. Also, Steemit needs some people who can explain it well. That's one thing we were lacking with BitShares. Still nobody got it after a couple of years, even though the technology was amazing. The developers expect everybody to find, read and understand the whitepaper. Ain't gonna happen. I will gladly help explain and share these ideas so we don't repeat that mistake. Yes, your metamorphosis appears to have taken place immediately after discovering that if you pandered to the whales with only pro-Steem post you could earn hundreds to thousands of dollars. Amazing how the transformation took place, by basically buying you off. Prior to your first big payoff from the post, "When will STEEM pass BitShares on CMC? ", which I see no reason why would earn as much as it did, you were making next to nothing ($20 or so) from many outbound links and jokes and post about ... well things most people enjoy, except on Steem. But you stayed true to your nature and began posting about things you found entertaining to donkeypong and again, you were receiving little to no payout for doing so. I'm sorry if you are bitter for some reason that I don't understand. I don't consider it pandering to point out to people how they can earn more and create a more solid long term foundation through power ups, and since I posted that I have heard from a number of users who truly did not understand that as well before, so I think my explanation is serving some purpose. It's unfortunate that people don't upvote more of the fresh content like dam goats and steemed fish jumping into grizzly bears' mouths. Someday, they will. Until then, if I can serve a purpose here by helping explain some of the things that not everyone gets (because they don't read whitepapers or cannot understand them), I will do so. I am not that smart about either technology or economics and my first reaction to Steemit was being upset that BitShares was being left out to dry by this development team, hence my initial opposition towards it. It took me a couple of weeks to really understand how the currencies work on here, but I cannot imagine a better built concept. I posted an explanation of my evolving view on the slack channel some time back. Any steem dollars I have left after spending on blog advertising will go 100% into Power Ups, no cash outs. To cash out, you would either have to be an idiot or someone who needs money badly. Thank you, tuck, for digging it out. It will be interesting to hear what changed donkeypong's attitude from being totally skeptical to being totally enthusiastic. The original quote was not from Albert Einstein, and gets attributed to him long after his death. Thanks for your comments. I've enjoyed reading and upvoting some of your posts recently also! Regarding the quote, I'm pretty sure that half the stuff Einstein supposedly said is questionable, right up there with Confucius and maybe a litany of misquotes from the Bible also. Everybody wanted the stamp of a genius from Einstein. From what I was able to find online, that quote was indeed questionable enough that I treated it with skepticism in the first paragraph of my article. But one of the quote investigator sites listed an earlier source than the other that I read, so who knows? Yes, I used it, but asked people to keep an open mind. It can't be more eazy than that .... shortest way: You must invest in your work and reward will follow! I appreciate the hard work that you put in this article that opens doors for everyone!! Keep Steem it man! But we need to change something on Steem. You can vote for newbies posts, the most popular posts of the day, or whatever you feel is the best content to reward. Well, who don't do it? This autovote help only SP holders and let them gain more in a not proportional way respect a newbie user. Autovoting own posts isn't a bit unehtical :) ? In this early phase IS A MUST!
" every 10 dollars created, nine of them (9!) go to those who have powered up." In my opinion the content creators and curators should receive the most part of rewards and not the witnesses like it happens right now (BTW I am a witness too)... or at least it could be more balanced in favour of the content creators/curators! They should be the heart of this new social media !!! really interesting post. it still applies 100% even after one year or some rules have changed? like the division between autohr/curator rewards and steem power holders is still 9:1? now I'm getting a clear picture on how steem works! The specifics have changed since then, yes. The inflation rate has been coded much lower and more rewards go to content creators. awesome, do you know of a place where I can check it? maybe some official steem page or so? cool. gonna explore that site more, I checked it before...thanks!